What is the Be Your Own Boss program? qualified students and alumni with businesses looking to transition ownership. Today’s entrepreneurs face many challenges, and starting an enterprise can be very risky. New farms and businesses have to raise capital, create brand recognition, and develop new relationships with suppliers, customers, and employees. Buying an existing business has a number of advantages including: brand recognition, existing cash flow, trained and experienced staff, loyal client base, operating supplier relationships, mentorship, and access to financing. are seeking qualified entrepreneurs to take over their enterprise. by clicking the link that is sent to your email inbox. Select a “Buyer” account and complete the rest of the signup process making sure to identify which post-secondary school(s) you have attended. 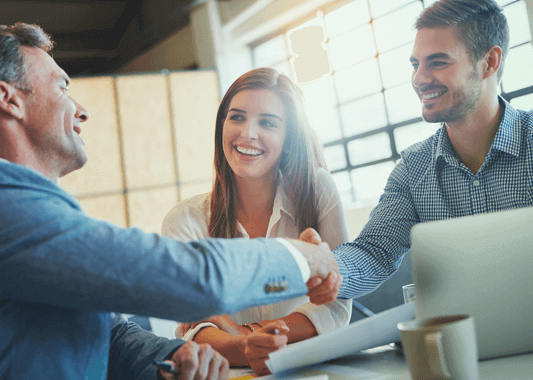 SuccessionMatching will extend an invitation for you to connect with a nearby lending partner, who will ascertain your readiness to pursue business ownership and educate you on your lending options. If they determine you are eligible for the program, the lending partner will then give you a coupon code that you can use to create your free buyer listing. and create a buyer listing. Use the coupon code when prompted for payment. and start browsing business opportunities on the site. Be Your Own Boss Post-secondary Partners. Be Your Own Boss Lending Partners. South Block Whiskey Bar (148 Sparks Street, Ottawa). Click here to view the Facebook event and get your ticket! Do you want your school to participate? Do you want your lending institution to be a Lending Partner?